Medigrate Corporation is a privately held California corporation that was founded in 1996 and is run by its founder, D. Lancy Allyn, M.D., President/CEO. Medigrate's corporate office is headquartered in Hanford, California, near one of the fastest growing technology centers in the state. 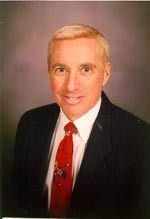 Dr. Allyn is an Orthopaedic Surgeon who has had a successful private practice for almost twenty-five years. He is entrepreneurial, high energy, and a visionary. Electronic Office, Medigrate's electronic health records program, is the brain-child of Dr. Allyn, and he plays a major role in the product design for all projects at Medigrate Corporation. Dr. Allyn's medical practice, Dr. Lancy Allyn and Associates has served as the original beta test site for Electronic Office through all of it versions since 1996. Dr. Allyn has competed in and completed two Ironman Triathlons, with his most recent competition being in 1998 at the young age of 55. In addition to being a busy surgeon and a competitive runner, Dr. Allyn is an accomplished pilot, with over 4,000 hours of flying time. Included in his list of aeronautical accomplishments is the fact that Dr. Allyn was the first private pilot after WWII to circumnavigate the globe through Russia. In addition to being in private practice, Dr. Allyn is part owner of a corporate aircraft leasing company, and has been involved in other successful business ventures.